Betfair - Why Play At Betfair Online Sportsbook? Read and Claim Bonus! Betfair is renowned as being one of the world’s leading betting exchanges. And nowhere is Betfair more popular than in the United Kingdom. However, if betting on sports isn’t your forte, the site also offers online casino, live casino, poker, Vegas-style games, bingo and other forms of gambling games for you to get to grips with, too. The website officially debuted in 2006. And has amassed years of experience at the very top of the UK sportsbook and casino pyramid as a result. Today, this MGA (Malta Gaming Authority) and UKGC (UK Gambling Commission) licensed betting firm is up there with the best of them. Choose to play with Betfair as a new player, and you can snap up 25 free spins on casino games with no deposit required, or alternatively, a £10 free bonus and 25 free spins when you bet £10 in Betfair’s sportsbook. Why Play At Betfair Online Sportsbook? 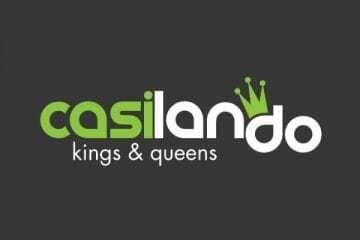 Although they may be better known for their sportsbook. Betfair’s Casino is certainly worth a look for any player who fancies their chances of success at playing top games online. Their easy to navigate casino site features a robust array of casino games. Games from the likes of Playtech, IGT, Blueprint Gaming, NextGen Gaming, Big Time Gaming, and newcomers, Red Tiger Gaming. Betfair’s array of games includes slot machines, jackpot games, roulette, blackjack, live casino, live roulette, live blackjack, a host of traditional casino table games, video poker and a handful of instant play games. Whatever your poison happens to be, you won’t be short of options at Betfair. As with many of the significant UK bookmakers which also provide casino games. Players can use their casino accounts to jump across the various other sections hosted at Betfair’s page. This naturally means that if players can’t find something to their liking in the casino site. They may be able to find that special something in the Betfair Vegas or Betfair Games websites. Their betting exchange and sportsbook is, of course, the primary focus, though, and frequented by sports betting fans up and down the country. The exchange sees some of the finest odds on major sporting events in the gambling world, while the betfair sportsbook offers football, horse racing, darts, greyhound racing, rugby union, American football, cricket and over 30 other betting markets for players to have a punt on. Betfair is at home offering mobile or instant play betting action. They also have a downloadable software package for Windows computer users. However, if you do like a spot of gaming on the go, then the sportsbook and casino site’s app is arguably going to be more your cup of tea. The Betfair app is compatible with most modern Android and iOS-powered smartphones and many tablet devices. 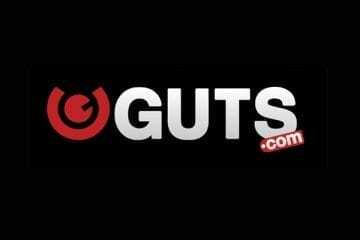 It is small in size, rapid to download and offers you unrivalled access to a host of sports bets. Admittedly, the app has its drawbacks. It doesn’t provide great coverage for online casino games, and other sections (such as Vegas, Bingo and Lottery) are quite restricted. The app won’t cater to players’ needs in those departments. However, if you fancy a punt on your favourite team or sports star, it is well worth a look. Like slots? 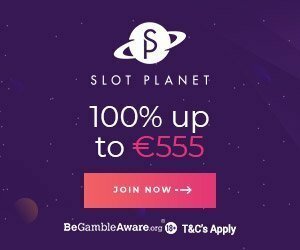 Other good casinos to play are Slot Planet and SlotsMillion. 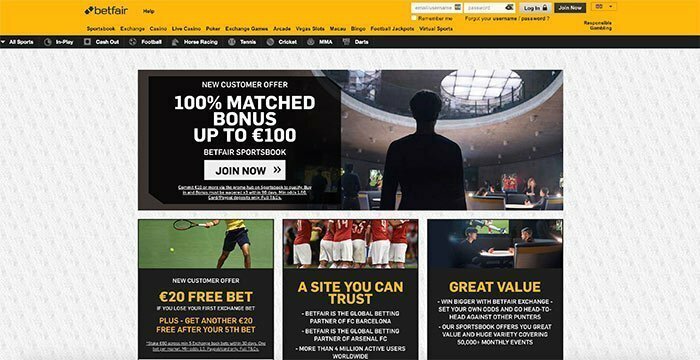 Like most modern UK casinos and sports betting websites, Betfair offers an in-depth frequently asked questions (FAQ) guide for players to use. This should be able to help you find answers to all but the most challenging of questions you may have. If you don’t wish to trawl through the FAQ or cannot find the answers you’re looking for. You do have other options open to you at Betfair. You can, for instance, choose to obtain assistance via Facebook and Twitter, but also by e-mail, live chat and telephone. The latter may not be toll-free, depending on where you reside. Players shouldn’t have to worry about security at all when playing at Betfair. The casino is protected with SSL (secure socket layer) encryption and is iTech Labs certified for fair play gaming. This well-regulated casino also supports licenses issued out of Malta and the United Kingdom, as mentioned earlier. 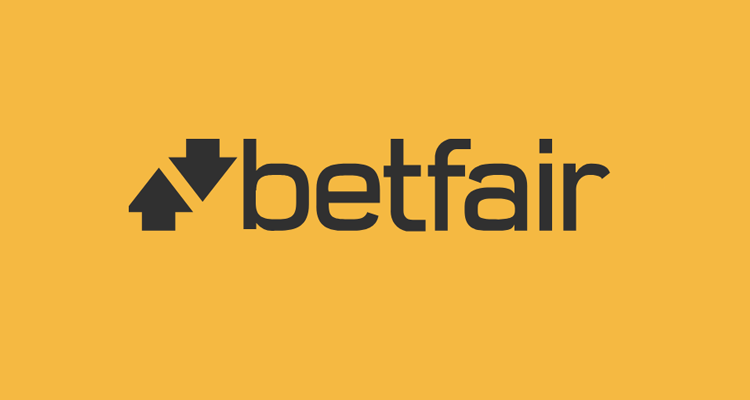 Their reputation for fair play and secure gaming precedes them, with Betfair being a household name across much of the United Kingdom. Players can naturally use the British pound sterling currency option when depositing, wagering and withdrawing at Betfair sportsbook. Quite a few deposit methods can be used to top up your balance when playing. Known accepted deposit methods include bank transfers, Maestro, MasterCard, Neteller, PayPal, POLi, Skrill, Solo, VISA, VISA Electron, and wire transfer methods such as Western Union. Players can do this free of charge at the site. Withdrawing is a doodle at the casino. Keep in mind that there is a 1-2 day pending period before your withdrawals start to be processed. E-wallet withdrawals then add up to 24 hours on top of that time, while other methods can take between 2-5 business days to clear. There are withdrawal limits at Betfair, but since they are capped at £500,000 per day, they shouldn’t trouble any players. For checking odds read about what is oddschecker? The promotions at Betfair differ, depending on which Betfair site you wish to play at. In the Betfair sportsbook, for instance, players who place 5x £10 bets will receive £20 in free bets. In total, up to £100 worth of free bets can be claimed with this offer. Alternatively, players can take advantage of a no deposit bonus offer at Betfair Casino. This offer is worth 25 free spins and comes with no cap or wagering requirements. Alongside the no deposit casino offer, players can claim a welcome bonus which is worth up to £100 when they deposit at the site. This offer comes with 45x wagering requirements. A live casino welcome offer can be worth up to £400 for depositing players, with smaller 30x wagering requirements on live roulette and blackjack games. Players can also find all manner of other top deals by popping into the individual sections of Betfair, where more welcome deals and long-standing offers await them.